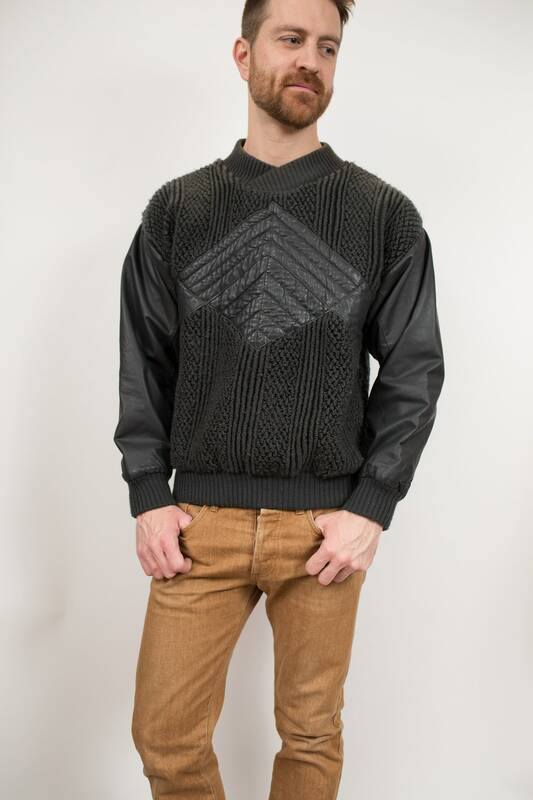 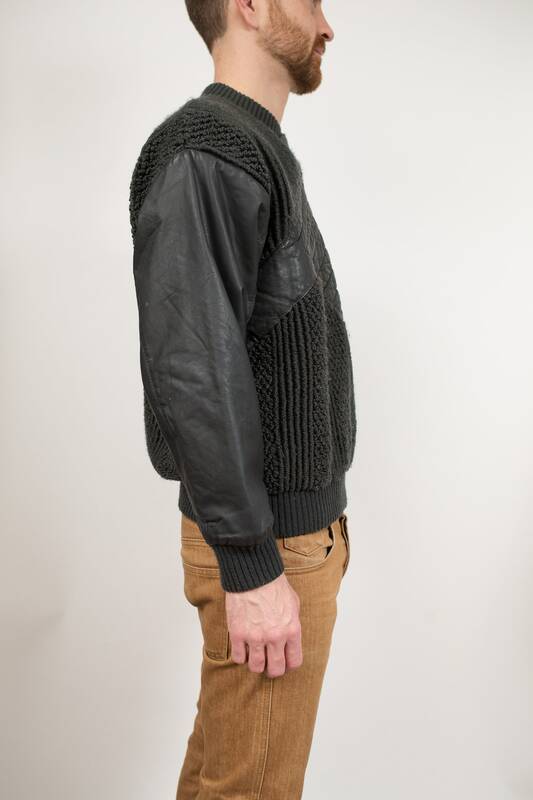 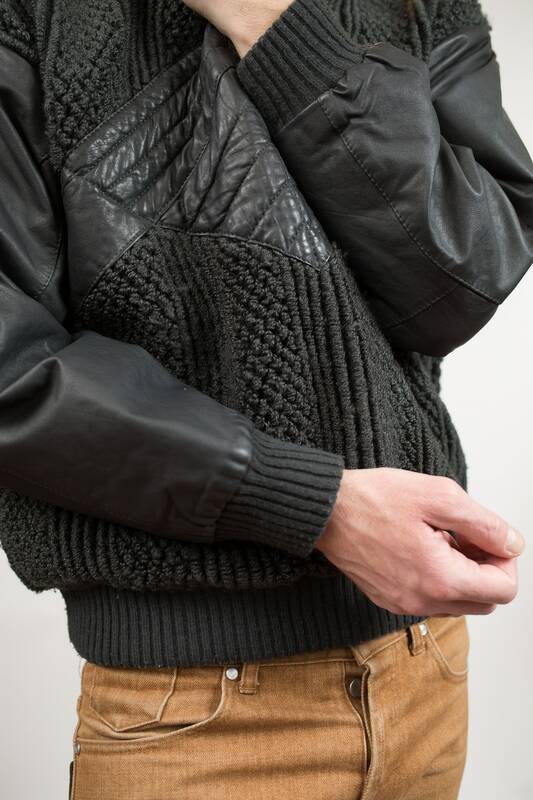 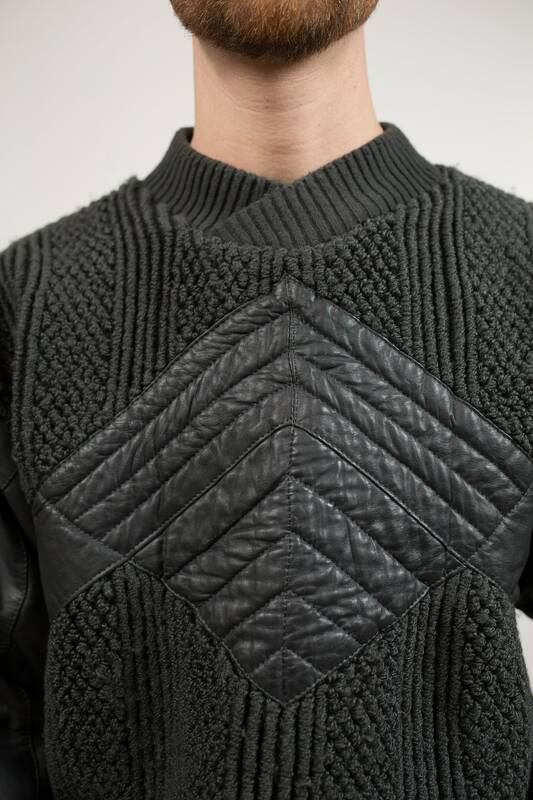 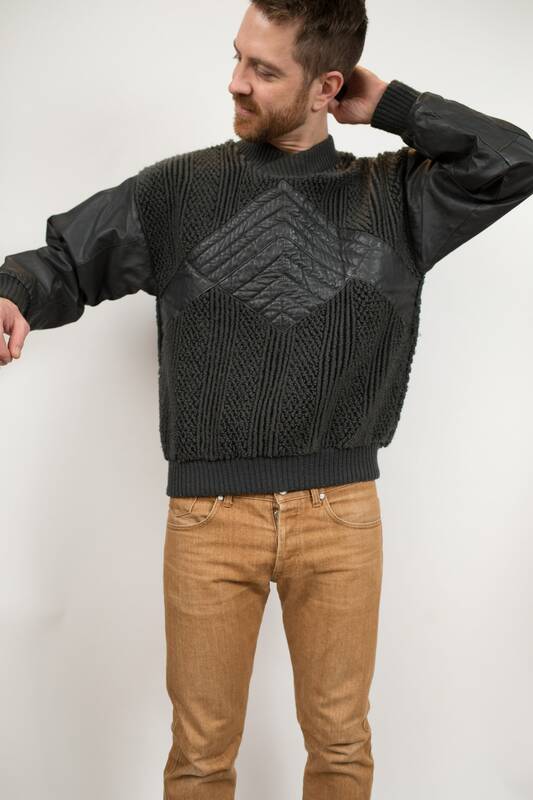 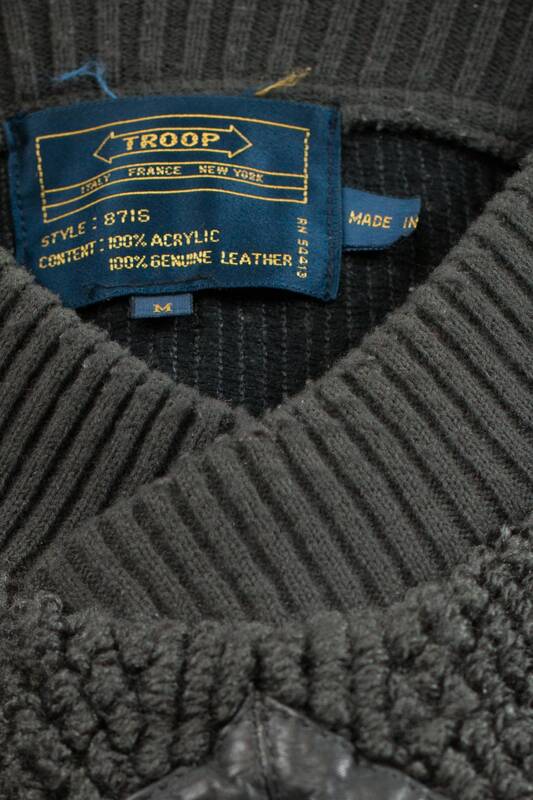 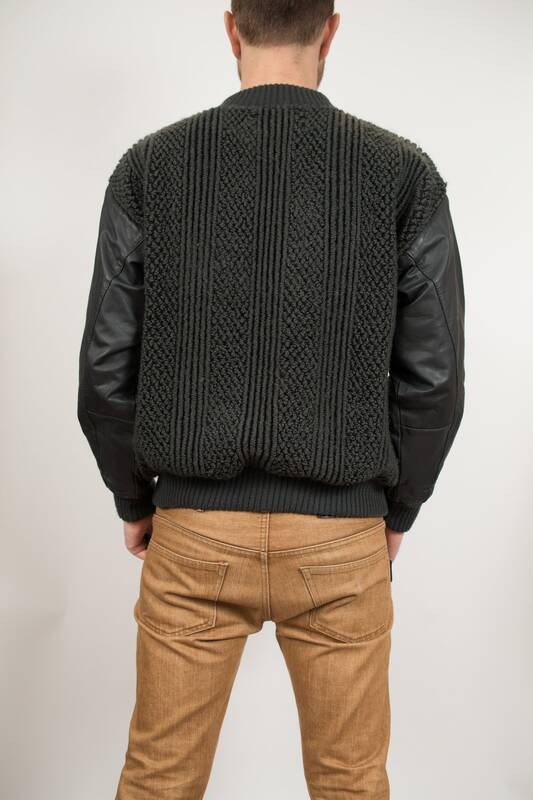 This is a unique vintage textured army green knit jumper with leather arms and front geometric textured leather motif. 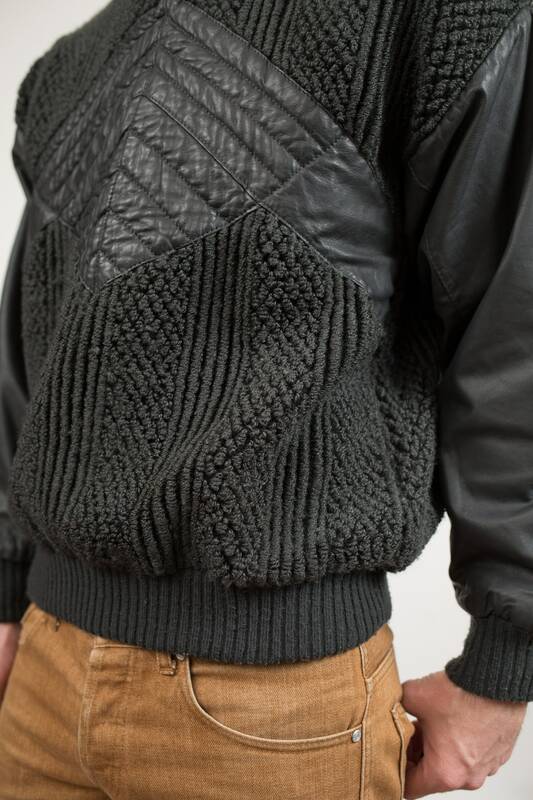 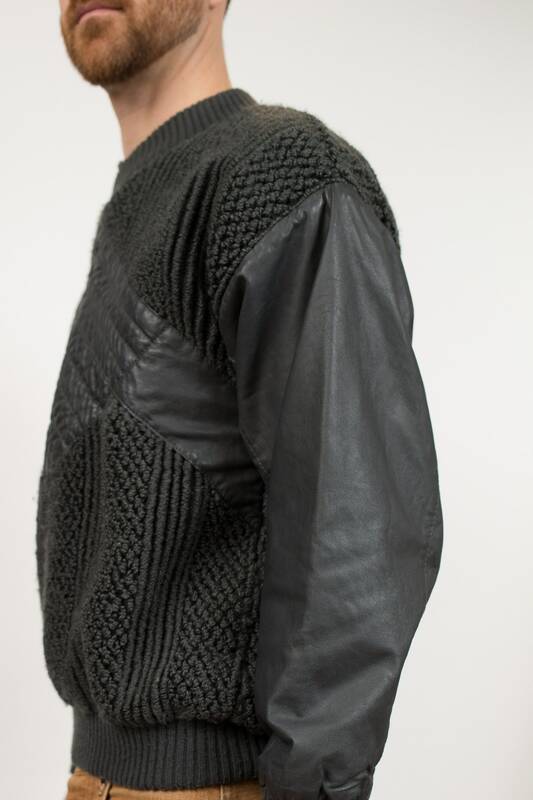 Material: acrylic knit and genuine leather detailing. 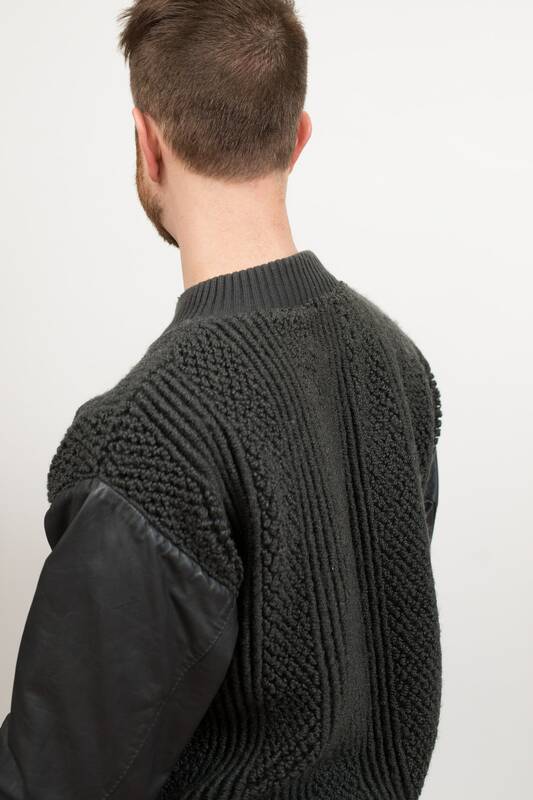 Sleeve length (top shoulder seam to cuff): 22" plus drop shoulder.